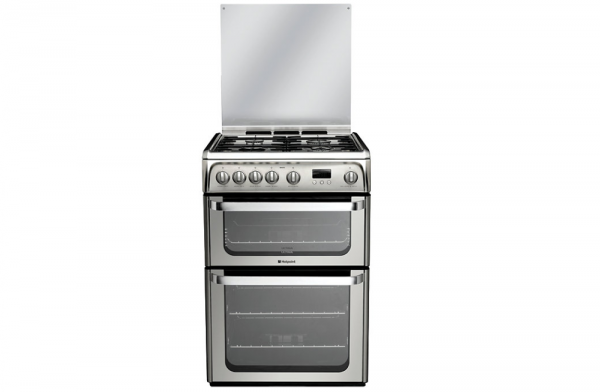 This Hotpoint Double Gas Oven is perfect for the larger households, with 4 gas hobs, but a grill and two oven trays and built in slow cooker setting which allows you to place your food in the oven and return to a lovely home-cooked meal (min 6 hour cooking time). This oven is protected by stay clean liners. The digital display lets you organise your cooking with the minute minder so you don't need to keep going back to check.